Pixel Scroll 5/20/18 I Know What You’re Thinking: Did He Scroll Six Pixels Or Only Five? (1) SAFE AT HOME. Adweek tells about an Incredibles 2 movie product tie-in: “Why The Incredibles Needed an ADT Home Security System”. Even superheroes need a good home security system, says a fun new ad from ADT and Disney, themed around the upcoming premiere of The Incredibles 2. In the 30-second spot, animated by Pixar, the film’s titular super-family gets a tour of their new alarm system from superhero costume designer Edna Mode. There are, for example, water level sensors—to safeguard against “surprise attacks” if a villain is hiding, for some reason, in a full bathtub, wielding a rubber ducking, waiting to pounce. There are motion sensors with live video—useful for tracking Mr. and Mrs. Incredible’s super-fast middle child, Dash. Intrusion detection can warn of invaders—and also help keep their teen daughter, Violet, gifted with invisibility, from sneaking out. (3) DO GIANTS SHRINK? John Scalzi tackled a question about Robert A. Heinlein’s residual influence in “Reader Request Week 2018 #6: The Fall(?!?!?) of Heinlein”. But the question wasn’t whether Heinlein is going to disappear; it’s whether he’s declined as an influence. I think it’s fair to say he has, if for no other reason than that in the last 30 years, the scene in SF/F has changed. For one thing, fantasy and fantasy writers are much more influential in the field and on emerging writers than they were when Heinlein was alive; there’s an entire generation now edging into their 30s who grew up at Hogwarts, and for whom people like Robert Jordan (with an assist from Brandon Sanderson) and George RR Martin loom large in their landscape. 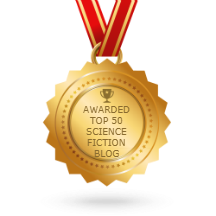 Over on the SF side William Gibson, Neal Stephenson and Lois McMaster Bujold (not to mention Suzanne Collins) are much nearer influences, to name just three. Also, as hinted above, YA authors are much more significant influences now than they were three decades ago. I can’t tell you how many younger authors count people like Tamora Pierce and Scott Westerfeld as significant in their development, and why wouldn’t they? And, yes, Heinlein wrote juvies, but the fact he wrote them is not the same as them currently being widely read and being influential. They’re not, which is not entirely surprising, as almost all of them are now sixty years old and the world they were written in doesn’t exist any more. (4) DIFFERENT INTERPRETATIONS. Comics fans won’t be surprised at the wide variety of results, I suspect: “Image Comics Had Seven Different Artists Color a Black & White Todd McFarlane ‘Spawn’ Drawing”. While we wait for more news on Blumhouse’s Spawn feature film, creator Todd McFarlane is finishing up issue #286 of the Image Comics series, which is going to printers today. For this one, Image did something pretty awesome, enlisting seven different artists to interpret a cover McFarlane drew for issue #286, in their own personal style. The result? Seven vastly different pieces of art… which all began as the same piece. (5) RUNNER-UP. Usually the winner gets all the publicity. Kevin Polowy, in the Yahoo! Entertainment story, “Emilia Clarke calls Brad Pitt’s $120K bid to watch ‘Game of Thrones’ with her the ‘weirdest experience of my entire life'”, says she can’t talk about the anonymous bidder who donated $160,000 to watch an episode of Game of Thrones with her to benefit Haitian relief because the bidder was anonymous. But she says that Brad Pitt bidding $120,000 was quite strange. Clarke clearly did not want to get into details — perhaps because the bidder from Sean Penn’s fundraiser for relief in Haiti chose to remain anonymous. But she did speak a little more about the runner-up, Brad Pitt. The actor fell short in his attempt to spend some QT with the GoT star who plays Dragon Queen Daenerys Targaryen. Pitt bid only $120K at the Sotheby’s event. (6) DEEP CUT. Shadow And Act reports “Laura Harrier’s Role As Millie Montag Cut From Fahrenheit 451”. Laura Harrier’s role in Fahrenheit 451 was cut from the final version of the HBO film. Harrier, who is in Cannes for Black KkKlansman, revealed the fate of her role to The Wrap. The actress, who starred last in 2017’s Spider-Man: Homecoming, would have had the rare distinction of starring in two Cannes films in one year. Harrier was supposed to play the wife of Michael B. Jordan’s character Guy Montag, but the character was trimmed from the adaptation due to time. (7) ISS CARGO RATES. I thought there was a popular joke among hard sf writers that Newton’s fourth law tells us “Everything costs more and works less,” but Google says I misremember…. Ars Technica headline: “NASA to pay more for less cargo delivery to the space station”. A large price increase by SpaceX will overcome a smaller price cut by Orbital ATK. A new analysis finds that NASA will pay significantly more for commercial cargo delivery to the International Space Station in the 2020s rather than enjoying cost savings from maturing systems. According to a report by the space agency’s inspector general, Paul Martin, NASA will likely pay $400 million more for its second round of delivery contracts from 2020 to 2024 even though the agency will be moving six fewer tons of cargo. On a cost per kilogram basis, this represents a 14-percent increase. One of the main reasons for this increase, the report says, is a 50-percent increase in prices from SpaceX, which has thus far flown the bulk of missions for NASA’s commercial cargo program with its Dragon spacecraft and Falcon 9 rocket. This is somewhat surprising because, during the first round of supply missions, which began in 2012, SpaceX had substantially lower costs than NASA’s other partner, Orbital ATK. SpaceX and Orbital ATK are expected to fly 31 supply missions between 2012 and 2020, the first phase of the supply contract. Of those, the new report states, SpaceX is scheduled to complete 20 flights at an average cost of $152.1 million per mission. Orbital ATK is scheduled to complete 11 missions at an average cost of $262.6 million per mission. But that cost differential will largely evaporate in the second round of cargo supply contracts. For flights from 2020 to 2024, SpaceX will increase its price while Orbital ATK cuts its own by 15 percent. The new report provides unprecedented public detail about the second phase of commercial resupply contracts, known as CRS-2, which NASA awarded in a competitively bid process in 2016. SpaceX and Orbital ATK again won contracts (for a minimum of six flights), along with a new provider, Sierra Nevada Corp. and its Dream Chaser vehicle. Bids by Boeing and Lockheed Martin were not accepted. (8) DEADPOOL ROUNDUP. The Mary Sue’s Kaila Hale-Stern claims “Deadpool 2 Has Trolled the Critics into Liking It” while scanning reviews of the movie. There’s a personality divide where some people are just never going to like a main character like Deadpool or a movie like Deadpool 2, and that’s okay! It is, however, refreshing to hear that there’s fun to be had here for those who want to have it. If one of the worst things you can say is that a movie is “too hip” for its own good, our curiosity is piqued. (9) JOE KUBERT STORYTELLER AWARD. The inaugural award was given this weekend. “‘Usagi Yojimbo’ Creator Wins First Joe Kubert Storyteller Award” – The Hollywood Reporter has the story. The first Joe Kubert Distinguished Storyteller Award was presented Saturday at Ontario’s Comic Con Revolution, and the recipient is a comic book veteran whose career has lasted for more than 30 years and multiple publishers. Stan Sakai, the creator of epic anthropomorphic historical series Usagi Yojimbo, was tapped for the honor, although he was unable to attend the ceremony. Sakai, who was born in Kyoto, Japan, and raised in Hawaii, got his start in comics as a letterer in the early 1980s on a number of independent comic book series, including cult classic Groo the Wanderer by MAD Magazine cartoonist Sergio Aragones and Mark Evainer. He was soon writing and illustrating his own characters, beginning with The Adventures of Nilson Groundthumper and Hermy in the debut issue of the anthology title Albedo. Usagi Yojimbo followed in the very next issue, setting Sakai’s career path for years to come…. (10) HOSHI OBIT. Japanese monster movie actress Yuriko Hoshi (1943-2018) has died. Actress Yuriko Hoshi, who was nominated for the Award of the Japanese Academy in 1997 for her supporting performance in Night Trains to the Stars, was perhaps most known for being a staple of Toho’s Kaiju films, appearing in Mothra vs. Godzilla, Ghidorah, the Three-Headed Monster and, most recently, Godzilla vs. Megaguirus. Today we’re sad to report, via Toho Kingdom, that Yuriko Hoshi passed away this week after a battle with lung cancer. Hoshi, born in December 1943, was 74 years old. (11) SUBSEQUENT ARRIVAL. Jeb Kinnison, after reading Filers’ comments, has added a few hundred words to his article “Why ‘Arrival’ is Bad Science Fiction”, linked here yesterday. (12) DESTINATION MOON. “Aiming for the Moon, Literally: One Foundation’s Plan for a Lunar Library” – but who’ll be there to check it out? The Arch Mission Foundation has plans to put the entirety of Wikipedia, among other things, into an elaborate microfiche archive, then send it to the moon. And it’s not even the first time they’ve done something like this. Wikipedia it seems, is everywhere on Earth—on smartphones and dumb phones, in countries with great internet access and in places with less. But on the moon? It’ll be there soon, too, thanks to a nonprofit group with a mission to share knowledge across time and space. (13) TRESPASSERS WILL BE VIOLATED. The colors on these Roman stone slabs faded long ago, but scientists have figured out what they were: “Ancient Romans Painted Horrifying Blood-Red Warnings on Wall Across Scotland” at LiveScience. Ancient Romans used blood red, bright yellow and stunning white paints to illustrate dire warnings on the wall that separated them from the rebellious tribespeople of Scotland, a new study shows. The painted warnings — including Roman eagles with blood-stained beaks, and the slain and decapitated bodies of the defeated victims of the victorious Roman legions — were shown alongside Latin inscriptions on carved stone slabs placed along a Roman rampart in Scotland. Archaeologist Louisa Campbell from the University of Glasgow says the carved and painted stone slabs would have served as “Roman propaganda” to local tribespeople north of the Antonine Wall, a fortified wall built across Scotland by the Roman legions during the reign of the emperor Antoninus Pius in the second century A.D.
(14) SCI-FI TRAILER. 2036 Origin Unknown with Katee Sackhoff – here’s the official trailer. (15) ARCHIE MCPHEE. A cultural icon finally gets its due in the Rubber Chicken Museum. If you make your way to our Seattle Archie McPhee store, you’re in for a treat. Last week we premiered our new Rubber Chicken Museum! You can see the world’s largest rubber chicken and the world’s smallest rubber chicken, as well as everything in between. Our museum is dedicated to the history, cultural zeitgeist and general hilariousness of the rubber chicken. It is a must see! Plus, you can also see our new “Room 6” collection of historical novelties. You’ll get your PhD in LOL!